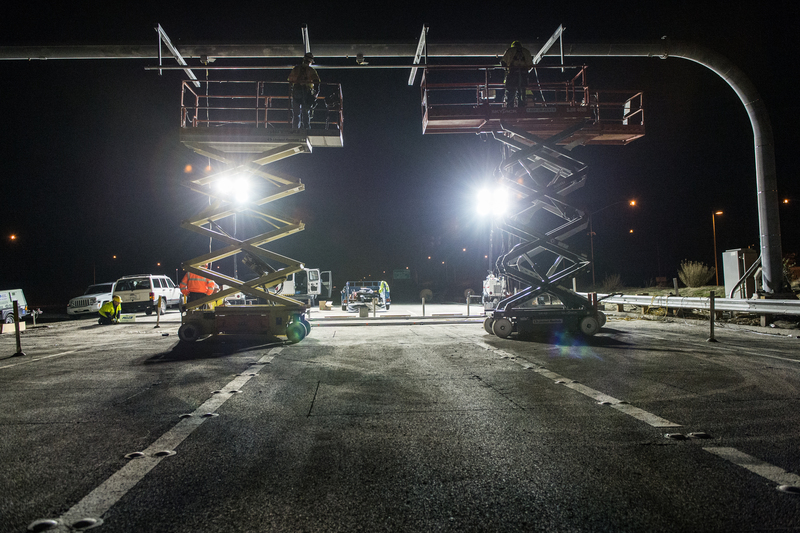 As The Toll Roads work toward the May removal of cash toll collection on State Routes 73, 133, 241 and 261, proven state-of-the-art tolling equipment is being installed at every tolling location on the 51 miles of roadway. 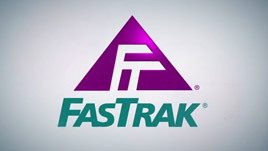 The equipment supports FasTrak and the three new ExpressAccount payment types introduced in January. So far, this equipment has been installed at the Irvine Ranch (SR 261), Tomato Springs (SR 241), Orange Grove (SR 133) and Catalina View (SR 73) Mainline Toll Plazas. 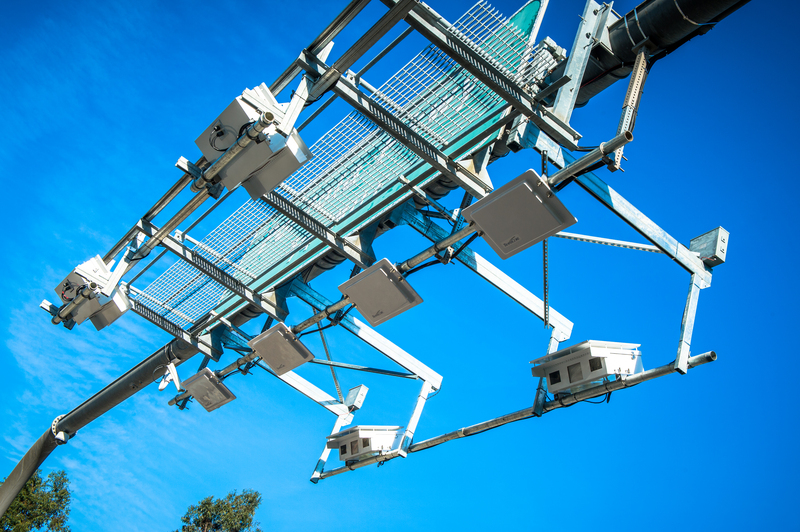 Drivers will notice that the lights on the overhead gantries at the tolling points have changed. Because the ExpressAccount types use license plate numbers – instead of FasTrak transponders – to collect tolls, each vehicle’s front and back license plate must now be illuminated so that a photo can be taken of each. Formerly, only black and white photos were taken of license plates using infrared lighting to identify vehicles that did not pay the toll. Now, color images with a greater level of detail are required. These photos ensure that the correct license plate is linked to the corresponding ExpressAccount. 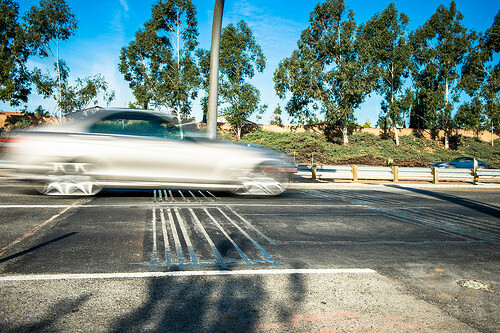 Changes to California’s standard license plate also made it necessary to begin taking color photos. The lights are the same type used on police cars, ambulances and fire trucks around the country as they share the roadway with other drivers. At The Toll Roads’ tolling locations, the light produces a safe, momentary 200 microsecond flash. Over the last seven years, these lights have been installed in more than 500 toll lanes nationwide to support license plate tolling. Again, we understand that it is not uncommon for motorists to notice the lights when they are first installed, but experience shows that within a couple of weeks of installation drivers grow accustomed to them. WHO WANTS $30 IN FREE TOLLS? Drivers on the 73, 133, 241 and 261 Toll Roads in Orange County can get $30 in free tolls if they open a new FasTrak® or ExpressAccount™ on or before March 31. FasTrak and ExpressAccounts are the fast and convenient ways to pay tolls electronically on The Toll Roads while traveling at highway speeds. 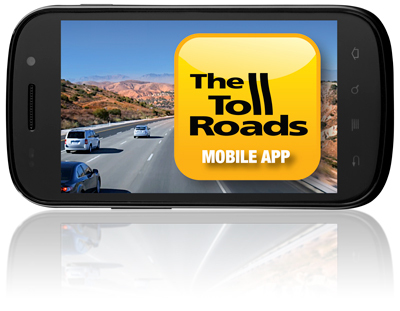 To receive the $30 in free tolls, use promo code FLYER30 when establishing a new account via thetollroads.com or The Toll Roads app, which is available in the Apple App and Google Play Stores. The Toll Roads introduced three new ExpressAccount types last month to give cash-paying customers more choices for how to pay tolls without stopping at toll plazas. TCA will remove all cash toll collection from The Toll Roads in May. Customers can now pay using a FasTrak, an ExpressAccount or the new One-Time-Toll option that is available at thetollroads.com. 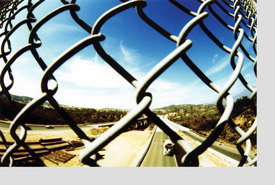 To learn more about the five ways to pay tolls on The Toll Roads, click here.